If you recently upgraded to a big, new flat-screen, make sure you responsibly dispose of those big, boxy TV. According to The New York Times there are more than 200 million of these TV units sitting in American homes just awaiting disposal. 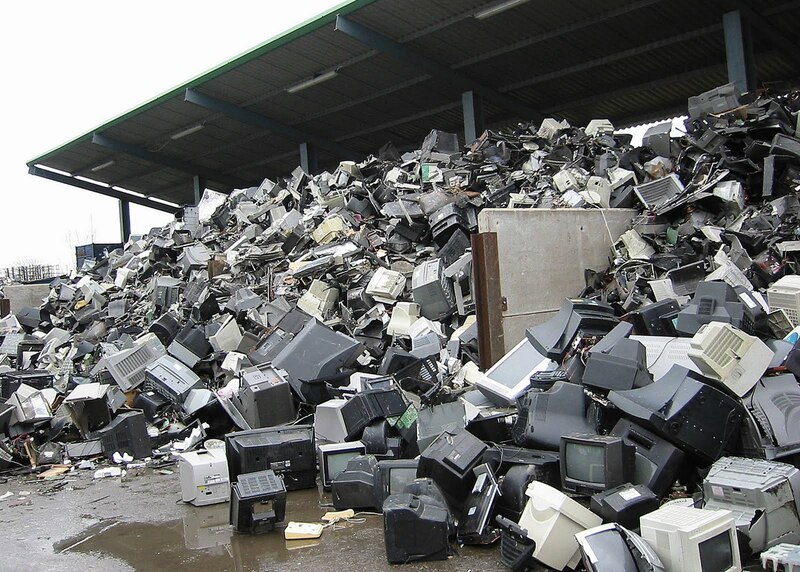 All types of electronic waste present a challenge for recyclers, but CRT (Cathode Ray Tube) televisions and monitors are particularly difficult to deal with. More than 40% of all the lead that leaks out at our landfills and contaminates our land and water comes from electronics thrown in the trash. And your old TV set alone contains up to eight pounds of lead. New legislation has ruled that all electronics are now considered a form of hazardous waste. Because of this new designation, we can no longer include computer monitors or TV sets in the large item collection program, and no electronic materials can be disposed of with regular trash. These items must be safely disposed of or recycled. Attend a free Household Hazardous & Electronic Waste Collections run by the County for free recycling or safe disposal at the regular. These free periodic events occur at least once a month in the South Bay area. Click here for the schedule of upcoming collection events, or call 1-800-238-0173. These events are for residents only, not businesses. Visit S.A.F.E. Collection Center, a free permanent drop-off facility that all Los Angeles County residents can use for recycling or safe disposal of electronics and other hazardous wastes. Location at 1400 N. Gaffey St. San Pedro. Open every Saturday and Sunday 9 am to 3 pm except holidays and rainy days. For additional information, call 1-800-98-TOXIC (1-800-988-6942) or click here to visit their website. Take your old TVs to Walser’s Art Supply, a certified drop off for electronics recycling. They will accept materials from both residents and businesses. Please click here for their flyer for their location, drop-off times, and other restrictions. Click here to visit their website. Donations are always a possibility. For more information, visit the City of Torrance Public Works Department Electronic Recycling webpage or call (310) 781-6900. Recycle Used Oil and Filters! It’s Quick, It’s Easy and It’s the Right Thing To Do! Every year approximately 13 million gallons of motor oil that has been sold to the public is unaccounted for. California has no record of that motor oil being recycled. What happens to it? Maybe it is disposed of improperly… thrown down the storm drain, poured down the drain, poured on to a patch in the back yard, or thrown into the garbage. Did you know that used motor oil never wears out? It just gets dirty and can be recycled, cleaned, and used again. If these contaminants reach the ground, they can seep into our water supply and cause serious pollution. If they are released into our storm drain system they get washed away with the next rains directly into the ocean! Yes, used oil is very recyclable. Used oil can be re-refined or processed into fuel oil. Oil filters contain used oil and steel. Both are valuable nonrenewable resources. When you take your used oil to a certified center for recycling, you are protecting the environment, and conserving a valuable resource. That’s a winning combination! 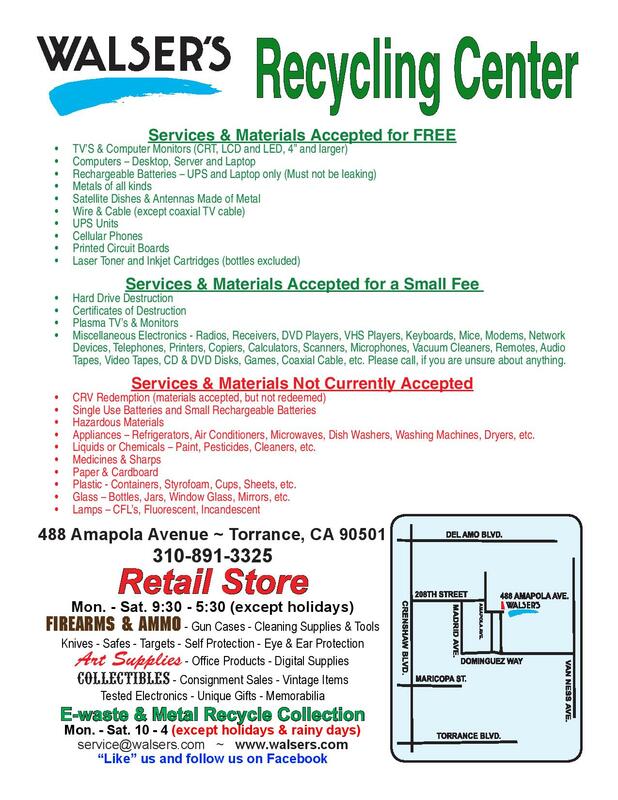 Find a Certified Collection Center in the City of Torrance! 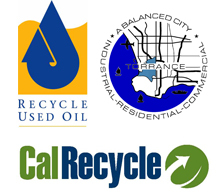 For more information on used oil and filter recycling visit CalRecycle. The Beauty of Old Tire Recycling! About 290 million used tires are thrown away every year. Of those, 55 million tires end up being thrown into landfills or are disposed of illegally on roadsides and properties around the country. These waste scrap tires pose a potential threat to public health, safety, and the environment. The good news is tires can be reclaimed and reused as fuel, engineering projects, roads, mats, flooring, and even playgrounds. Create interior and exterior furniture. Tires are a perfect circular size for ottoman chairs and are great as the base of a table. Build a tire swing for your backyard. Kids and adults alike enjoy the classic activity of swinging on old tires. Make a planter for your garden. Rubber tires provide the ideal material for a planter. 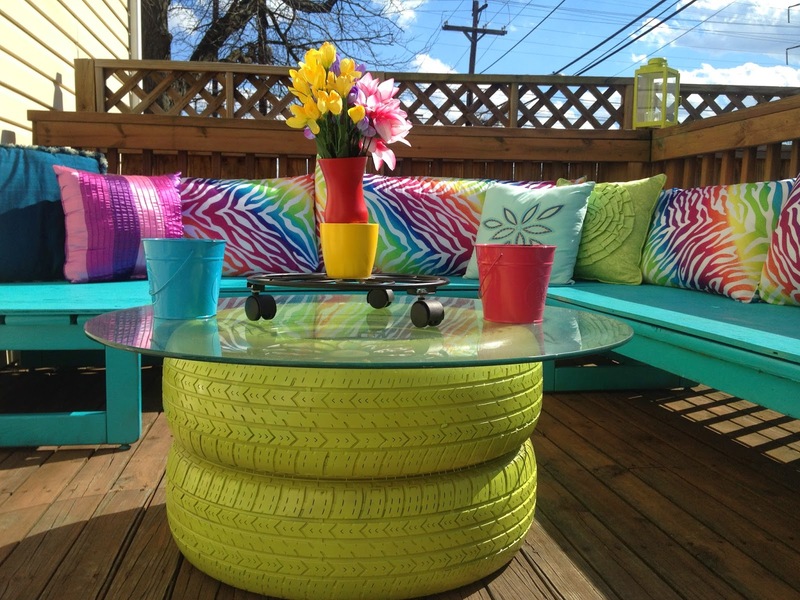 And many more… Checkout some other great ideas for recycling old tires on Pinterest. Let us know some of your old tire recycling ideas in the comments section! Also don’t forget to join the City of Torrance on February 21st for a FREE waste tire collection event from 9am to 1pm at Torrance City Hall Parking Lot, 3031 Torrance Blvd. Open to residents of Torrance and Gardena. Visit our EVENTS webpage for event details and flyer.